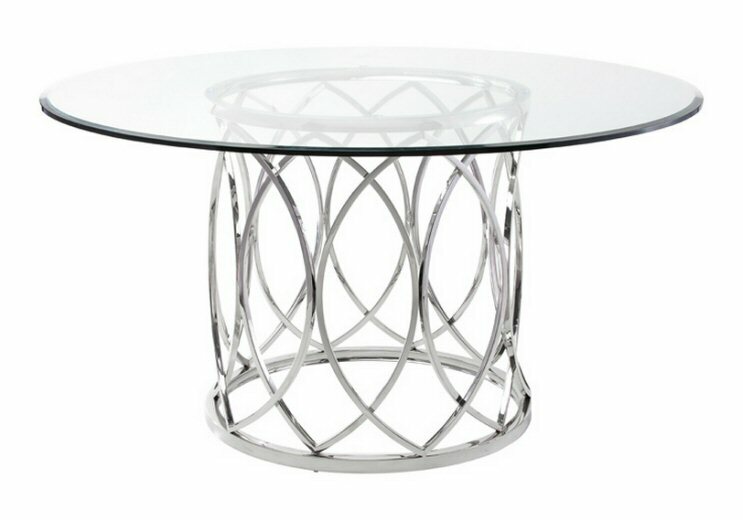 Nuevo Living Juliette dining table dazzles in high-polish stainless steel and glass. Characterized by interwoven rings in brilliant silver, the frame defines the Juliette inspiring glamour and occasion. The Juliette is available exclusively in polished stainless steel with ½ inch beveled edge tempered glass.